“The Common Interest Doctrine in Massachusetts,” It’s Confidential — Privilege Law in Massachusetts, Massachusetts Bar Association CLE Presenter, March 25, 2010. “Marshaling Evidence for Proof of Dishonesty,” Preparing for Trial of the Complex Fidelity and Surety Claim, American Bar Association CLE, January 2007(co-author). “Ethical Investigation of Fidelity Bond Claims: Protecting Privacy,” Fidelity Law Association Journal, Vol. X October 2004 (co-author). “Massachusetts Attorneys Beware: 'Absolute' Litigation Privilege May Not Be As Broad As You Think,” Boston Bar Journal, May/June 2003. 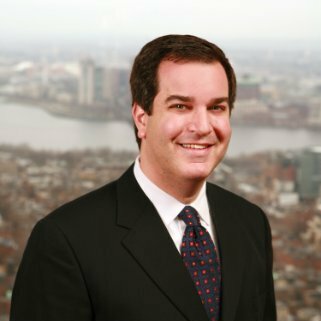 Andrew Caplan is a trial lawyer and founding partner of Twohig Caplan LLP, a Massachusetts law firm focusing on civil litigation and dispute resolution and avoidance. Andrew helps his clients – large and small businesses, executives, professionals, and private individuals – to avoid and resolve disputes efficiently and favorably. Andrew provides legal counsel and representation in connection with civil legal disputes involving business, contracts, banking and financial services, employment, and insurance claims and coverage. Andrew handles all aspects of dispute resolution, including litigation and trials in state and federal courts, arbitrations, negotiations, and mediations. Successfully represent a number of companies in bet-the company litigations. Win $2 million arbitration award for clients facing contentious disputes from failed corporate merger. Assist corporate and individual clients to recover tens of millions of dollars in insurance proceeds under virtually all types of insurance policies. Help businesses and individuals with contract preparation and negotiation, employment issues, non-competition agreements, risk avoidance, and resolution of customer claims. Martindale Hubbell rates Andrew “A.V. Preeminent,” the top rating for lawyers who have demonstrated the highest degree of professionalism, skill and ethics. Andrew holds a 10/10 ("Superb") rating from AVVO. Rated “A.V. Preeminent” by Martindale Hubbell, the top rating for lawyers who have demonstrated the highest degree of professionalism, skill and ethics. 10/10 ("Superb") rating from AVVO. Recipient of Rudolph North Shore Volunteer Award, awarded for demonstrating exceptional leadership for the Anti-Defamation League and the North Shore community.